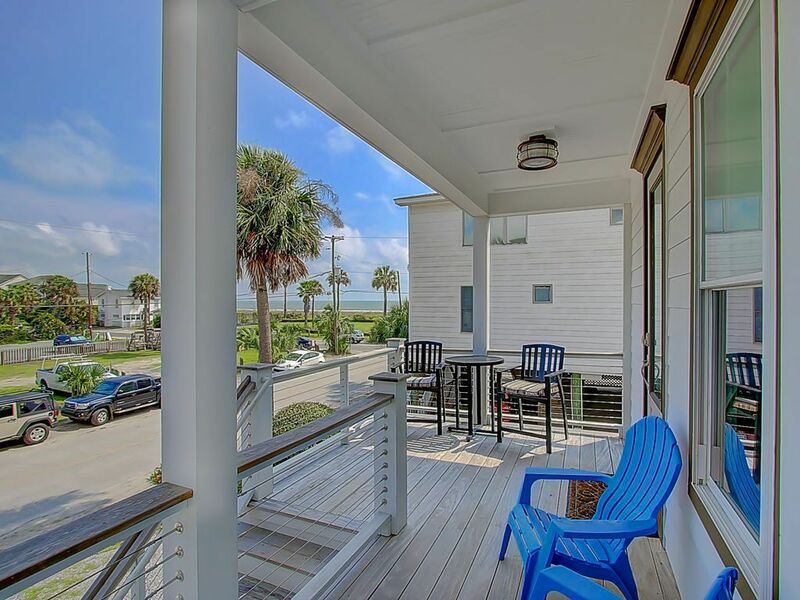 Welcome to 125 East Ashley A on Folly Beach! 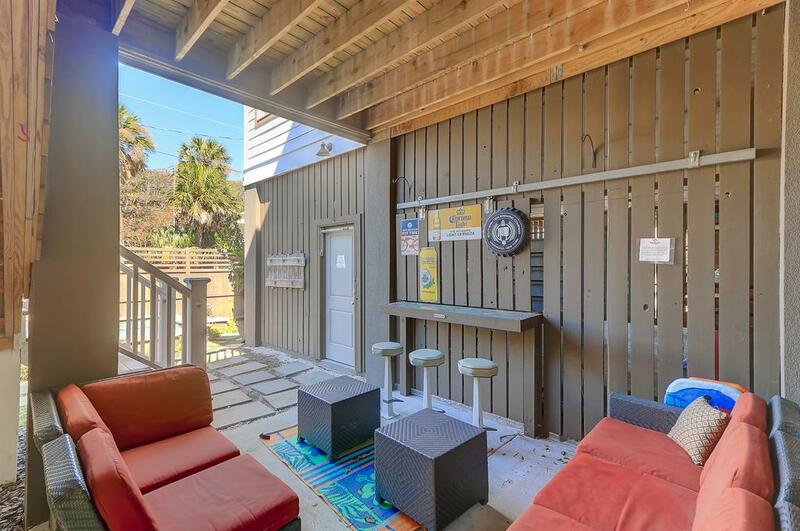 This high-end townhouse offers luxury accommodations and amenities like no other place on Folly Beach! 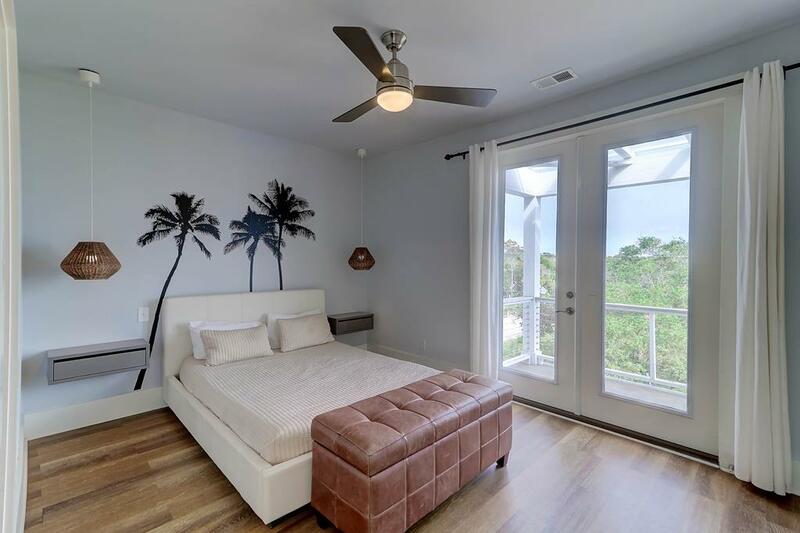 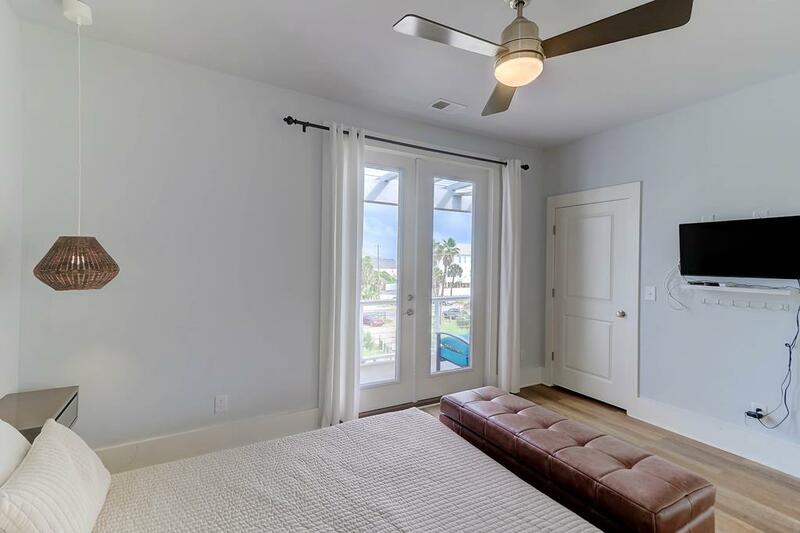 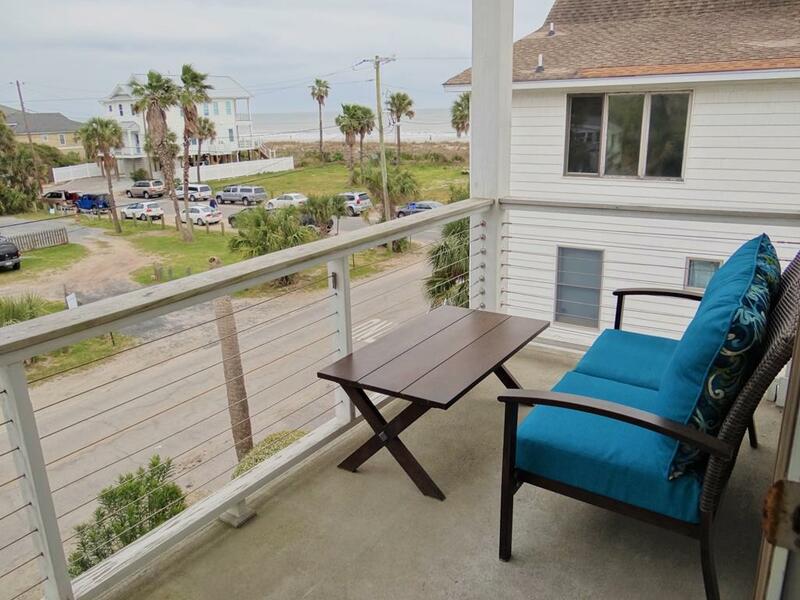 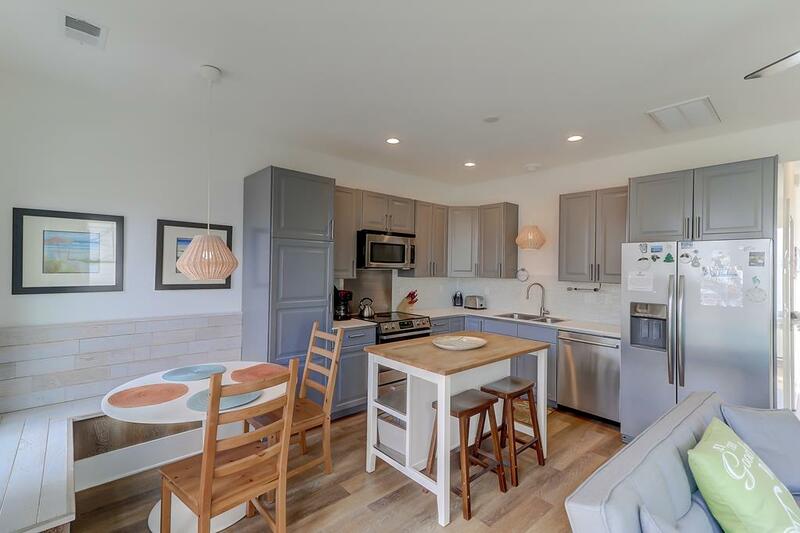 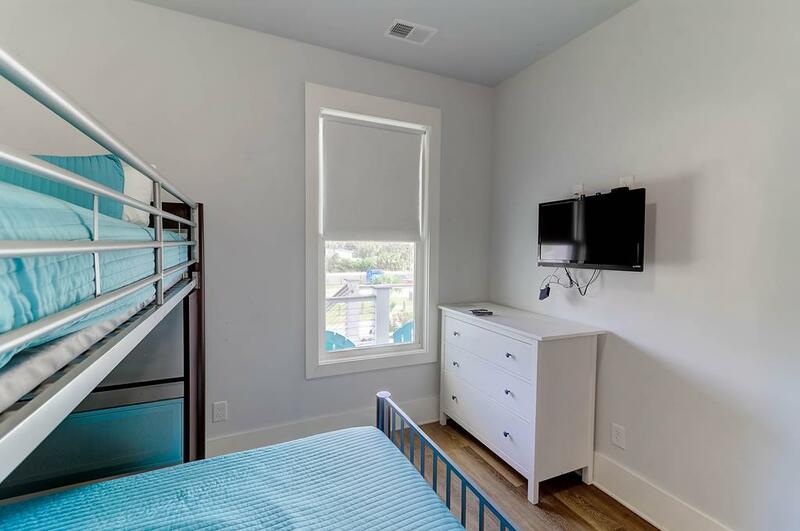 The townhome offer beautiful ocean-views, short walk to the beach and short walk to Center Street and all Folly has to offer. 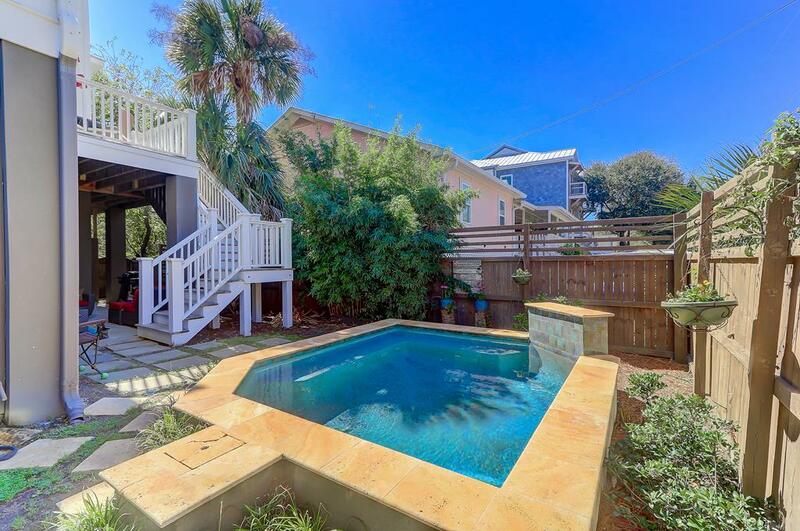 Accompany the location with 3 decks, shared plunge pool and a custom floor design, this will be a repeat destination for years to come. 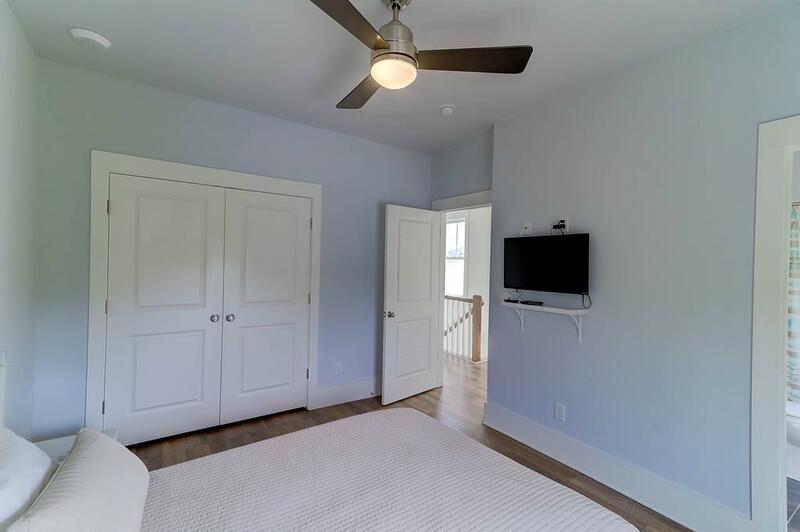 The 1st floor of the townhome includes one bedroom and the kitchen/living area. 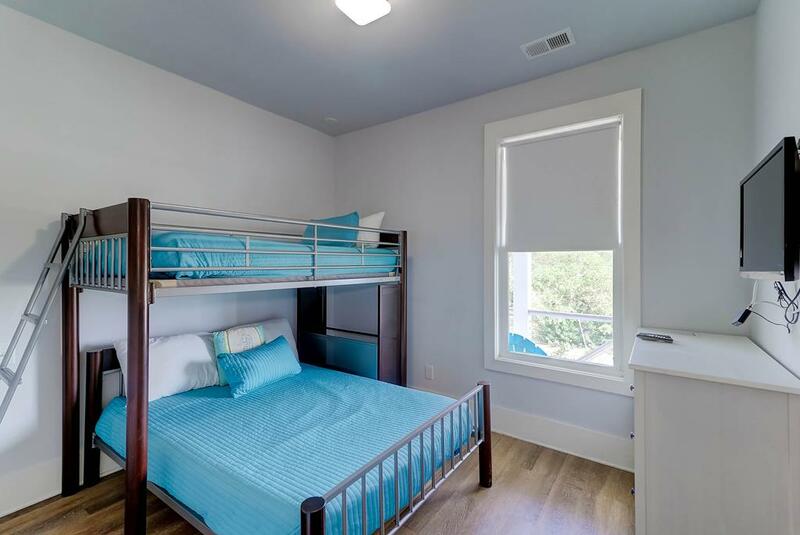 The bedroom is perfect for kids with one twin bed and additional full bed to sleep a total of 3. 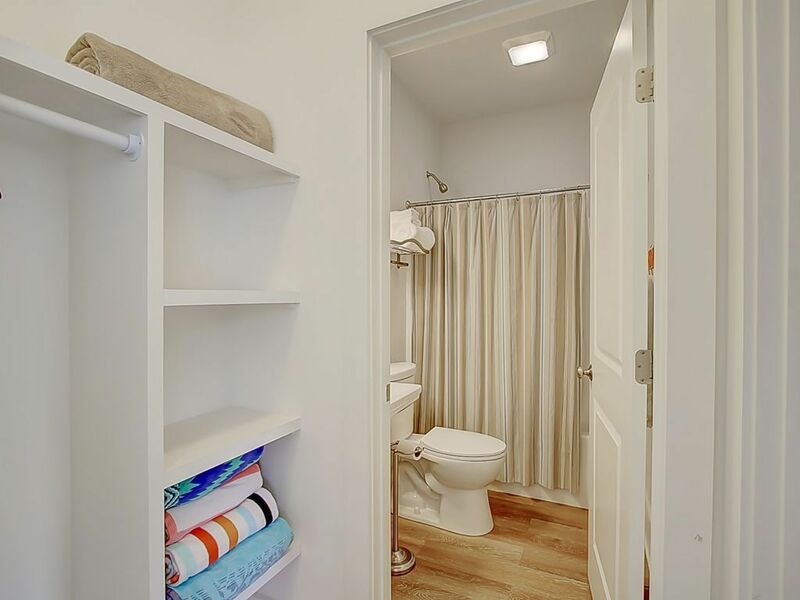 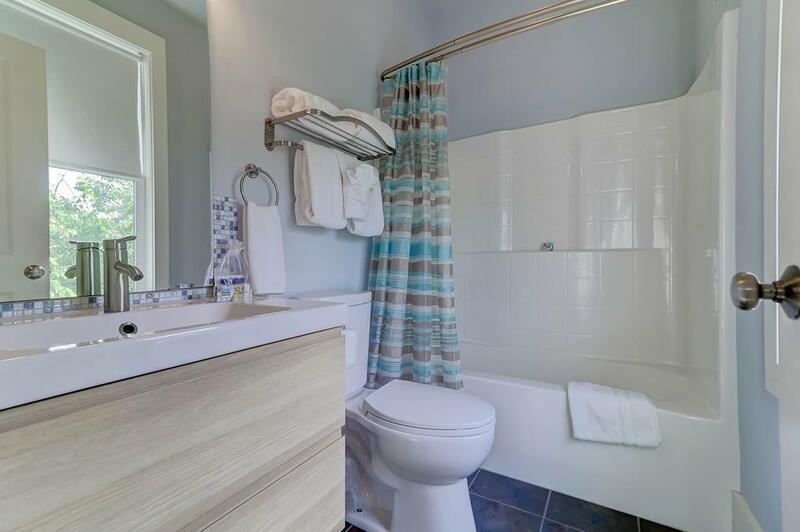 There is a full bath on the 1st floor that is also shared with the living area. 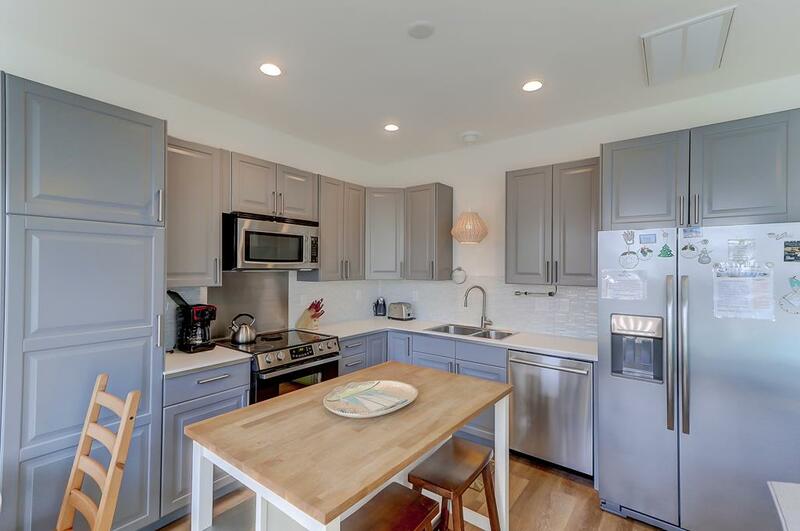 The kitchen includes all high-end appliances and all of the gadgets even the most discerning family chef would desire. 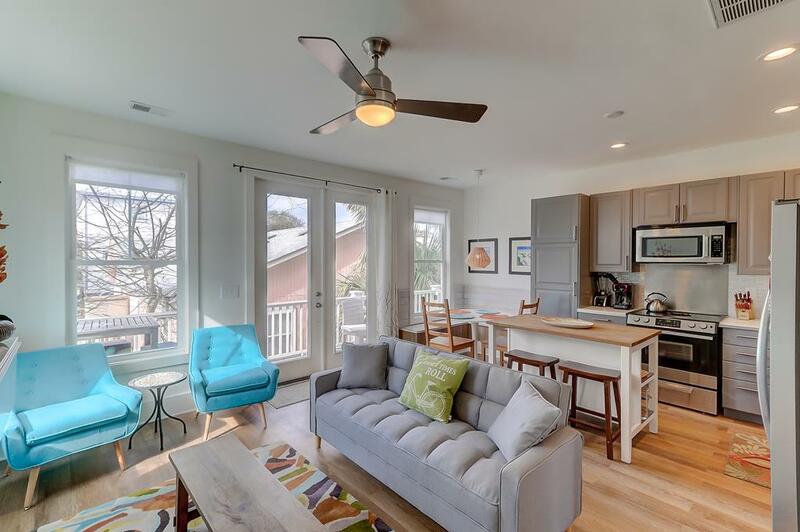 Dining area features custom built seating area and is nestled amongst the large windows allowing plentiful natural light. 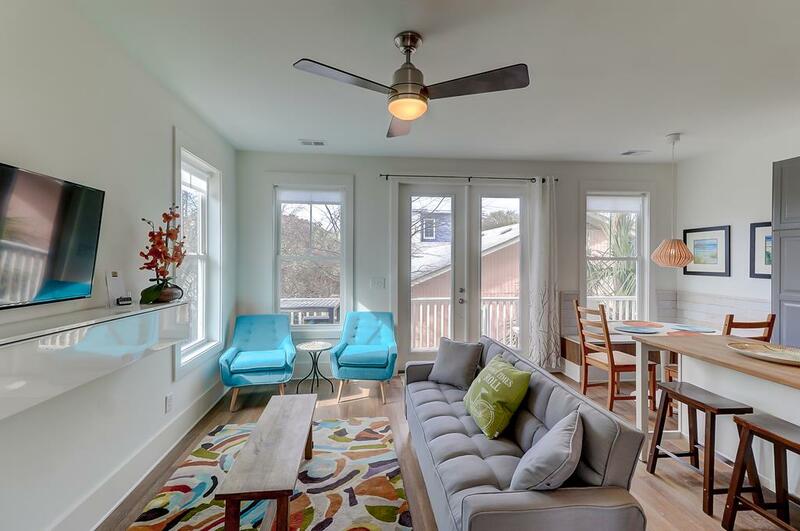 HD flat-screen TV with comfortable seating provides the perfect entertainment area of the rare rainy day on Folly. 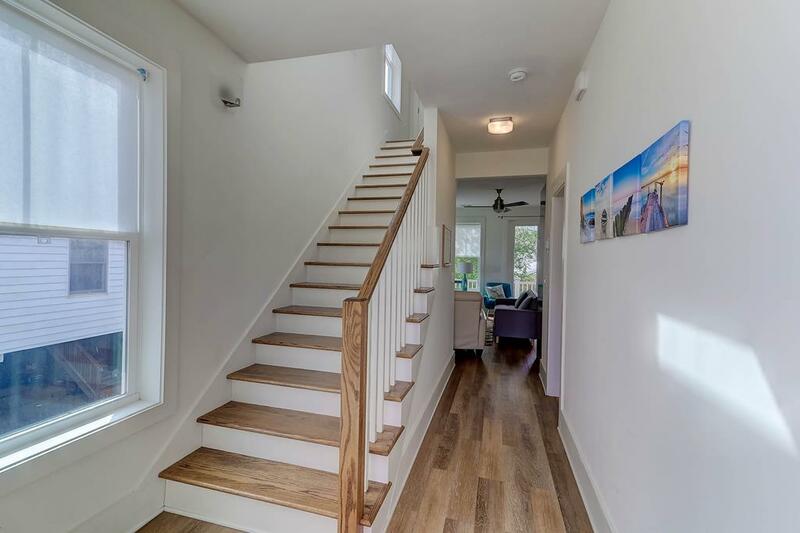 Upstairs includes the remaining two bedrooms, both with private baths. 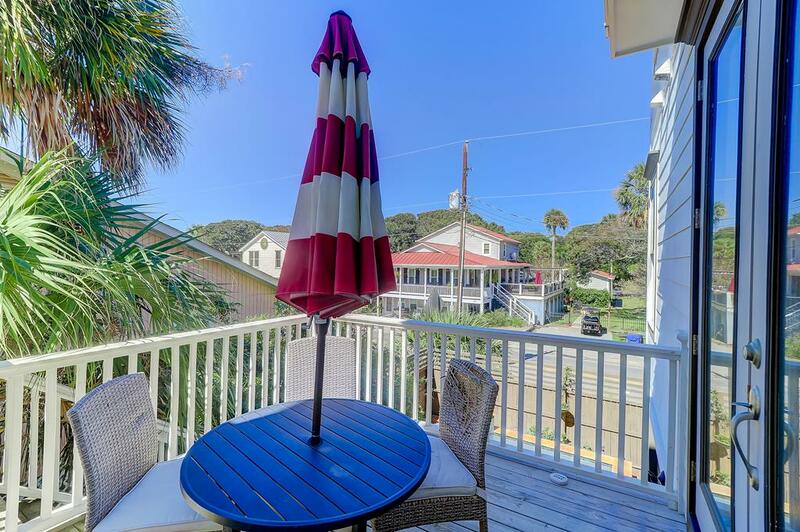 The room on the front of the house includes, queen bed, flat screen TV and private porch access with ocean-views. 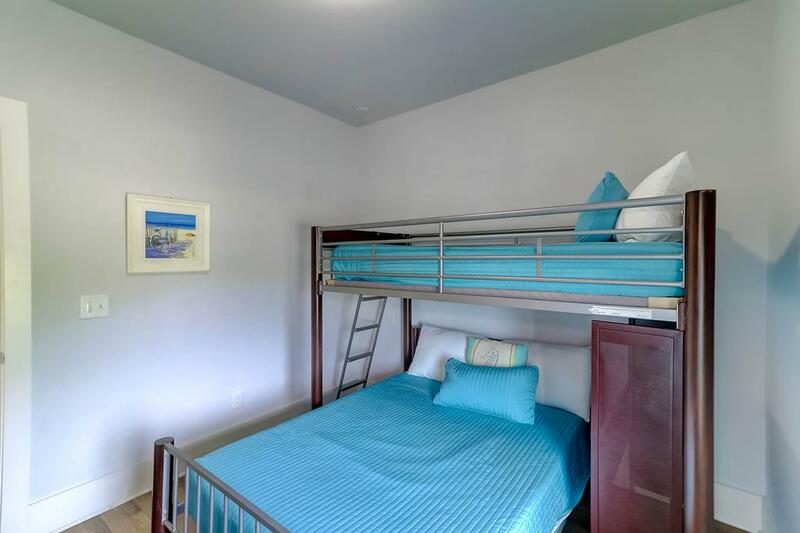 The second room features queen bed and another flat-screen TV as well. 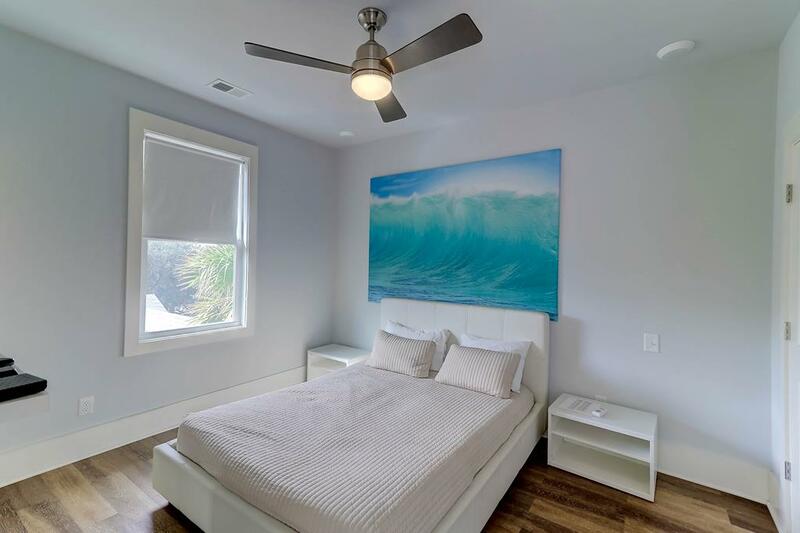 The owners went into great detail to pick out custom artwork to provide the beach feel that oozes relaxation. 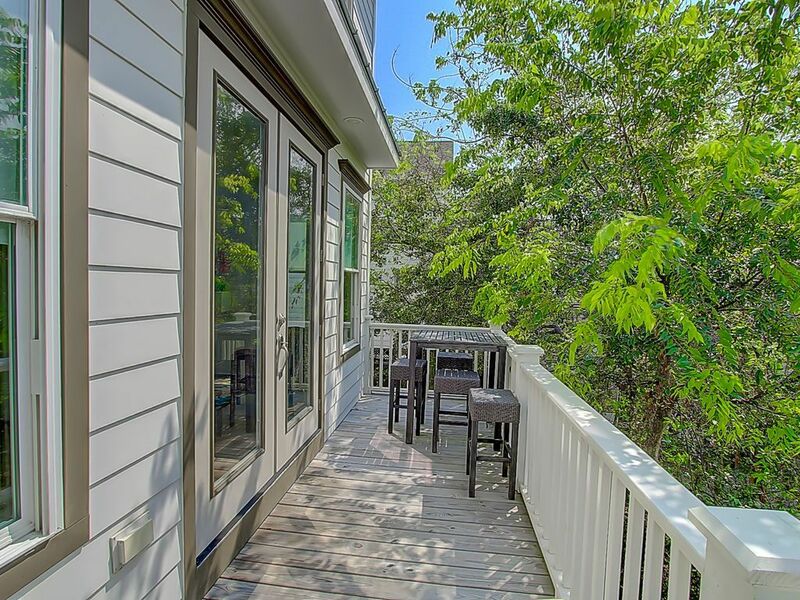 Home features abundant outdoor living options. 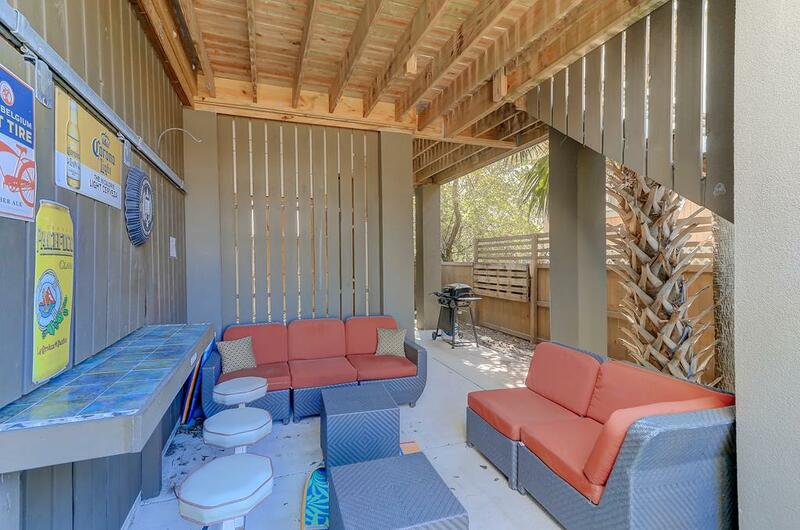 There are three separate decks to relax on as well as shared plunge pool in the backyard. 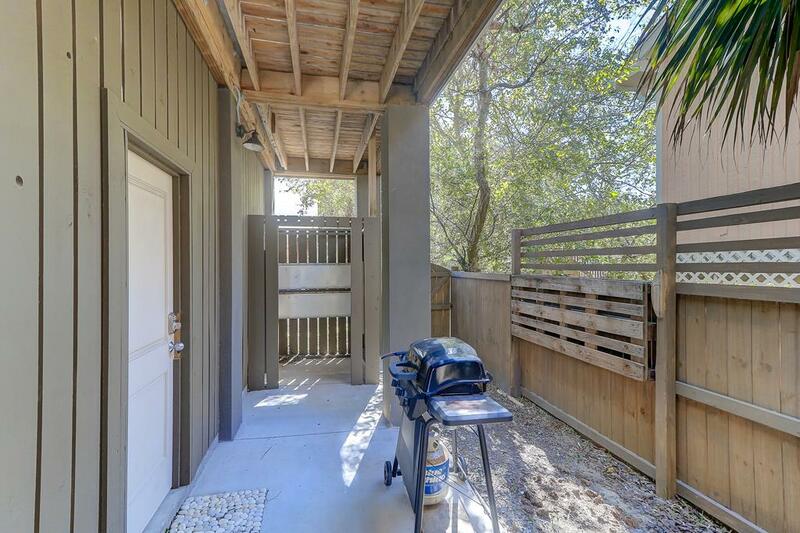 Please note that the back deck off the kitchen is shared with the neighboring unit. 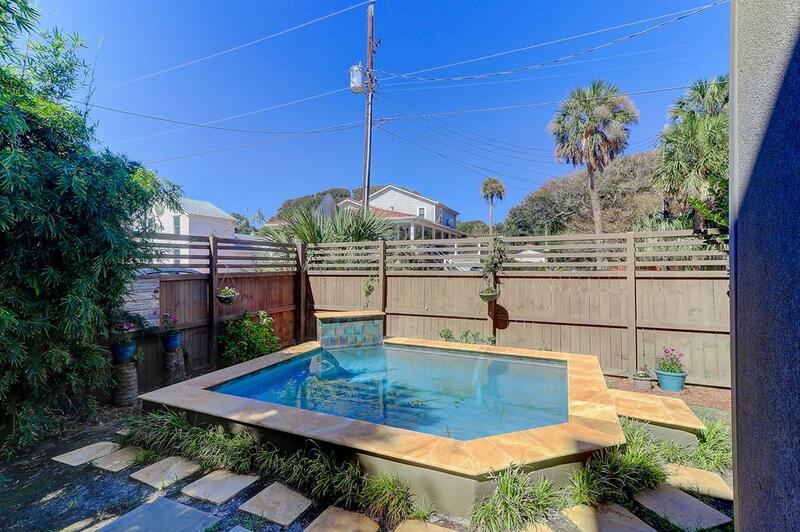 The pool 10 feet by 12 feet, 4 feet deep and is also shared with your neighbors. 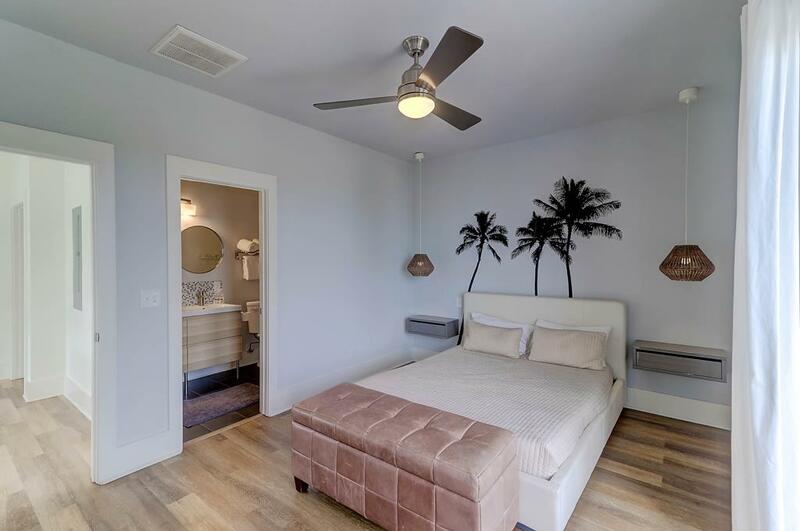 We do not rent to party groups and strive to only rent to guest that will appreciate the fantastic rental property and it's unique set-up. 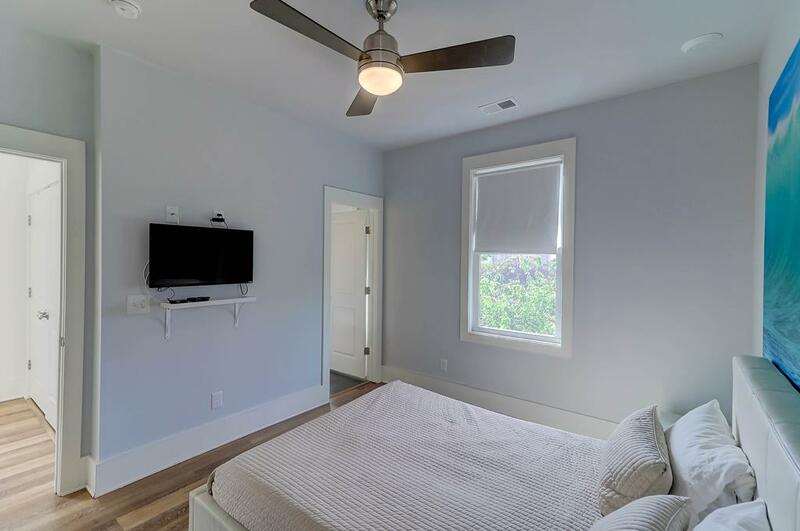 The home is strictly non-smoking and not pet-friendly. 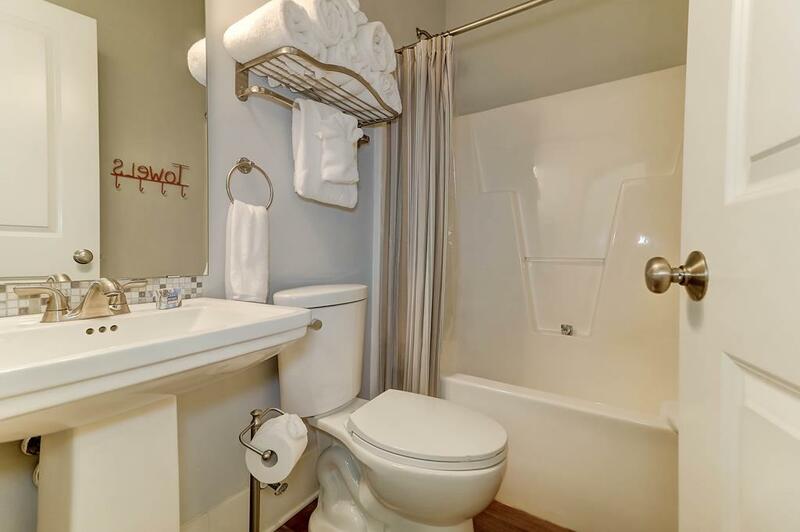 Book your stay at 125 East Ashley today! 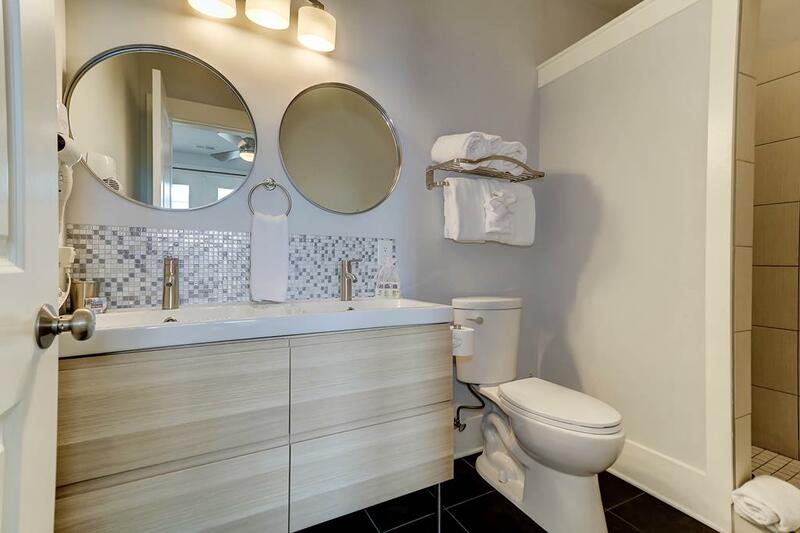 This home will sure to be a repeat destination for years to come.